Graduation day is almost upon us! 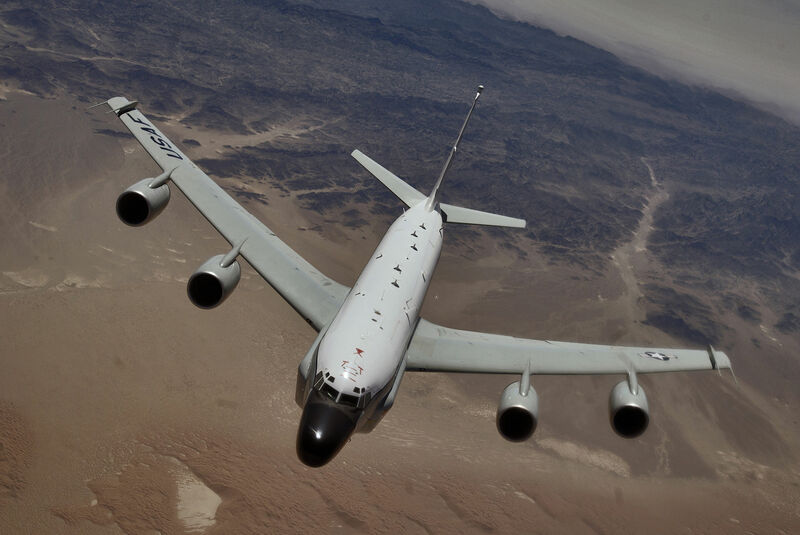 Yes, I finished up T-1’s a few weeks ago, and since then we dropped (got our assignment) to Offutt AFB, Nebraska where we’ll be flying the RC-135! Graduating UPT would not have been possible without the support of my family! My wife supported me so much, especially with the new baby. Taking care of him, getting up in the night, and basically running the whole house while I flew. Thanks babes! UPT was long and hard, but a great experience. We are looking forward to continuing our Air Force life in Nebraska. You Know You’re a UPT Wife When….. When you wake up to the sound of Velcro ripping as they change patches from one flight suit to the other. When you hear the phrase “so to speak” and your mind automatically starts trying to figure out the innuendo. When you criticize the “dogfighting” scenes in Top Gun. When you call the other pilots by their last name and sometime get confused when someone mentions a first name. When you know which way the planes will be landing on the runway based on the direction that your flag is flying each morning. When you recognize the plane by the sound it makes. When anyone says, “So your husband is like Top Gun,” you try to hide your distaste because they don’t know that’s the Navy. When you immediately recognize the distinct smell of a flight suit. When you recognize jalapeño popcorn when walking through the buildings. When there are a million ear plugs everywhere. When you know what penguins on an iceberg means. When you have flown a flight simulator. When your husband ask you to read the TAF instead of looking at weather.com. When everyone is surprised to see him at family functions. When you actually have to buy an airline ticket and it makes you mad, even though you’ve saved thousands flying for free. When you can list the majority of the Air Force Inventory with little to no hesitation. When drop night is practically a holiday. When they say “Can you help me study?” Then they get mad at you for not knowing what anything means. When conversations with family take twice as long because you have to explain all of the UPT lingo. When you realize they need an acronym for all the acronyms. When you go over the checklist in the car while doing quick trips into town. When you know the checklist because you’ve recited it so many times. When you know bold face and ops limits better than some classmates. When you’re ready to leave and you give the ole “pull chocks” hand signal. One of the most often repeated pieces of advice during pilot training is “don’t have a baby.” We heard this several times, and we had many people shake their heads in disbelief and say to us (after we told them we were pregnant) “I can’t imagine having a baby during pilot training. That’s crazy.” When we first arrived, there were welcome meetings and initial briefings. During Q&As, there would generally be baby related questions. 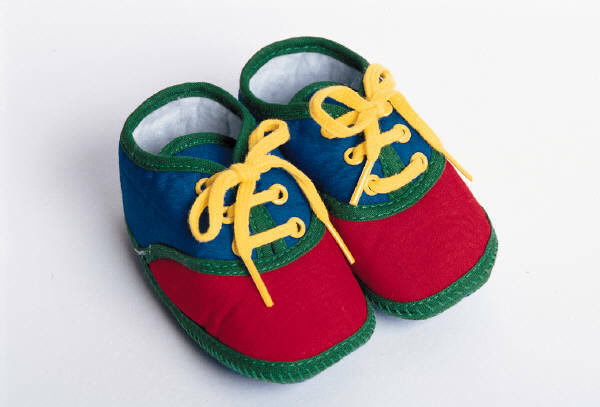 “What happens if we have a baby during training?” The answer, “Don’t.” Of course, it was usually accompanied with a laugh, followed by the actual answer, whether it was who to call when you go into labor, or how it would affect the training. So here is an honest assessment of whether or not you should have a baby in pilot training, from the perspective of a wife 😉 I know we get lots of Google visitors looking for pilot training info, so this one’s for you wives! There are a lot of variables to take into consideration, such as where you are in training, whether the baby is easy or difficult, and the personality of the student, the baby, and the mother. My experience is obviously limited…our first baby was born during pilot training. (Our little Wingman was born just as The Pilot was starting Phase 2 of training, which is when they actually started flying.) But, from our experience, from the experience of friends, and from the experience of 100+ ladies on my (amazing!) Mom’s Facebook page….having a baby in general tends to change things. Drastically. Your life will be forever different, whether or not you are in pilot training. Having a baby will change your life. You will not be able to stay up late, reading or watching movies, only to be able to sleep in and relax the next morning. You will not be able to have a full night’s sleep (for anywhere from a few weeks to several years). You will be exhausted (honestly, there needs to be a stronger word in the English language than just “exhausted”). You will have to plan your outings on when the baby last ate or slept. You will have poop and spit up on your clothes. You may realize you haven’t showered in 5 days. Going to the bathroom, eating, and sleeping are luxuries you just might be able to only accomplish once the baby is (finally) in bed. Having a baby will change your social life. You may feel like you have no social life. Your idea of going out means a trip to the grocery store alone. You will have to say “no” to a lot of events and opportunities. But…all of that generally tends to be true even when you’re not in pilot training. Factor in your husband’s 12 hour days, late nights studying, and 8 hours of required sleep, and you can probably tell how there could easily be a lot of added stress. There will be times where you, as the Mom, will be getting up alone 1-15 times a night to take care of the baby. There will be many times after a grueling day of poop, screaming, spit up, and no naps where you will not be able to say, “Here, take him” when your pilot comes home. He will have to study for a big test the next day. You might not be able to take food into the flight room like you had wanted. Your involvement on base might not be quite what you were picturing. My advice to anyone considering having a baby during pilot training: Pray about it. Know what you’re getting into. And go for it. Having a baby is one of the craziest yet most amazing decisions anyone can make. I can see how some couples could have a very difficult time with it. But some couples won’t. In my opinion, there are other things to take into consideration than just being in pilot training. There are some great reasons to have a baby during pilot training. One of the huge ones that we love…..the fact that my amazing husband will definitely be around for the first year, guaranteed, of our son’s life. No deployments!!! Having a baby changes your life, but it is absolutely incredible. For me personally, the first 6 months were very, very difficult for a few reasons (pilot training definitely being one of them). But honestly…..being a Mom just keeps getting better and better. I keep falling more and more in love with our sweet baby. You can’t put a price tag on the giggles and smiles and hugs and cuddles. There’s no way to explain how a little tiny person can fill your heart and lives with so much more love and joy than you could ever imagine. So….having a baby during pilot training is hard. But having a baby in general is, in some ways. Do I have regrets? Not at all. We truly wanted to be parents and we prayed that God would give us a baby. His timing is perfect and, while it was hard, we learned so much! There were many times even after we were obviously pregnant that people commented and said how crazy it was to have a baby during pilot training. I never could decide if the comments were funny or rude. 😉 But I think it would be a rare situation for me to tell someone in pilot training that they should not have a baby. I also wouldn’t just tell every couple that they should have a baby. Every person’s circumstances and situations are different. There will need to be sacrifices made, but it is definitely doable. Plus isn’t sacrifice a huge part of what parenting is about? If you do have a baby during pilot training, or if you already had kids when you started…..a few thoughts. 1. Communicate. You have to communicate. You might feel like your husband never helps. (Keep in mind that…you did choose to have a baby in pilot training, so the amount he can help will be limited in some fashion.) You might feel like you are the only one taking care of your baby. Please talk to your husband about it. Chances are, he is processing a lot too and he is trying to figure out how to balance everything. Don’t harbor bitterness….try to work it out. 2. Figure out a schedule. Find out what nights your husband can get up with the baby. Ask him when the best times are that he can take diaper changing duty. He is still the Dad….find ways to help him be a part of your baby’s life even while he is so crazy busy. As training progresses for him, his Daddy schedule might need to change. Be flexible. 3. Enjoy every moment. These moments will pass so quickly. Find ways for both of you to be in your baby’s life. Get down on the floor with him/her. Savor the cuddles. Enjoy times together as a family, whether it’s going on a walk together or cuddling and laughing with all of you in bed on a Saturday morning. If you’re a new Mom, you might enjoy this post. Every now and then I go back and re-read it to be both encouraged and convicted by what God has taught me. I guess just the main thing I would say is that your husband doesn’t stop being a husband and father during his year of pilot training. You are still equal partners with equal responsibility when it comes to raising your children. You do not suddenly become a single mother for the year. Your husband is still there and your kids are going to require his time and attention. If your husband is a good father he will always put his family first and he will find a way to balance his time. You cannot tell him how to balance his time though. 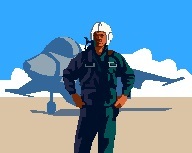 You take a lot on during pilot training but you do not need to be a martyr. It takes balance to raise a family. You will take on more, but your husband still wants to help. I tried to do everything on my own at first and my husband got upset that I wasn’t giving him time with his kids or letting him help. He still wants to be a part of their lives. You may find yourself up in the middle of the night with one kid puking and the other kid running a very high fever and coughing so bad they can’t breathe and your husband has a checkride at 7 am. In that time of need you will know what is most important to your husband. Pilot training doesn’t last forever, your time in the air force doesn’t last forever, but your family is forever. It can easily fall apart if not taken care of with delicacy. And carrying the load yourself day in and day out and not sleeping and feeling so stressed you can’t take it anymore is not going to help anyone. Let your husband help when he can. In turn, your date time after the kids go to bed is best spent quizzing him with flashcards and helping him study. Its all about finding balance in your family. You can’t tell a 3 year old to leave their dad alone for a year while he is sitting right there at the computer. Life is going to go on, and in ways you didn’t plan. If your not moving along together, because someone is putting life on hold, then you are going to find yourselves in very different places at the end of a year. Life is full of unknowns and uncertainties. We are facing that in a big way once again. In July, my amazing husband is graduating from pilot training, Lord willing. I am SO proud of him and all of his hard work. It has been an intense year, and I am so proud of him for making it through. But….it is also in July where our future is decided. In July we’ll have an event called drop night. That is when the Pilot will find out what plane and what base he is assigned to. And that will be the start of his career!! It’s kind of strange to know that before the year is out we could be living just about anywhere. We could be on the East Coast. We could be in the Midwest. We could be on the West Coast. We could end up staying here at Laughlin. We could even be in another country, like Japan or Germany. I am reminded of how, before we moved to Laughlin, I prayed for months that God would bring us to the base He wanted us to be at. That He would prepare us for the people He wanted us to meet. That He would pick friends for us. And I am convicted that I have only recently begun to pray for this upcoming momentous life event. It’s so basic and yet so huge. It is so comforting to know that we are not just in limbo. That we do not have to anxiously await whatever “they” decide. It is so encouraging to know that God not only knows our future, but that He is actively shaping it. I rejoice to know that when I feel myself getting anxious over the unknowns that I can rest in the fact that our lives and our future are securely in God’s hands. I can’t wait to see where God will take us next! Its been a while since my last UPT (Pilot Training) update. 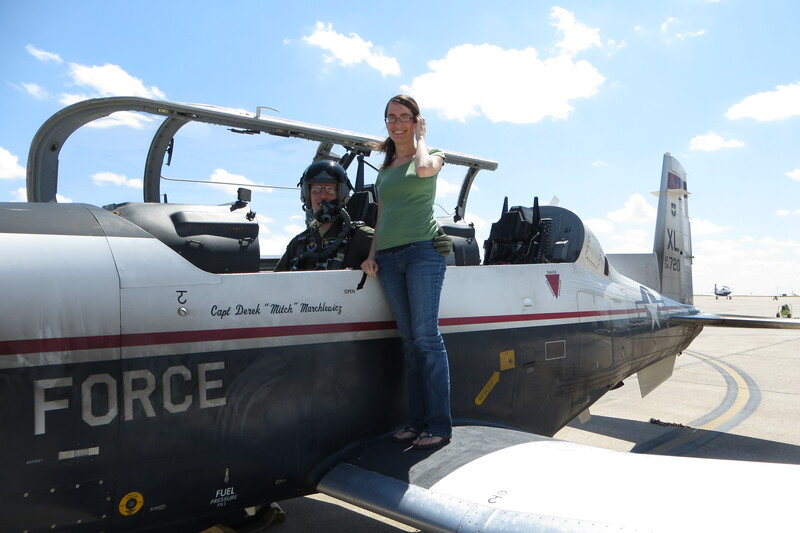 Since then, I have completed the T-6 Program, which included aerobatics, instrument and formation flying. It was a blast and I learned a lot with almost 100 hours in the T-6. The first hurdle in T-6’s was getting to the first solo flight (aka the Pogo flight). The first flight was just around the pattern for about a half hour. 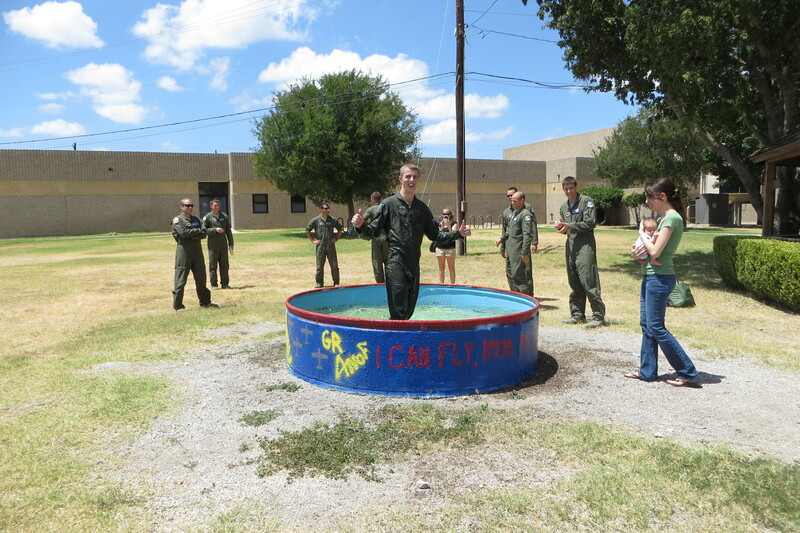 After the Pogo flight, I was caught and dunked in the dunk tank. After that flight, I went on to solo the T-6 four more times throughout the T-6 program, including flights in the pattern, out to the practice area, and the last solo flight which was in formation.